Spine-tingling escapades into Victorian darkness, guaranteed to astound even the greatest of skeptics! All things strange & bizarre, presented by the one & only Mistress Of The Macabre; Missus Eugenia Mooney! Each show or tour is as unique as Missus Mooney herself; packed with intrigue, horror, suspense, laughter and audience participation. From Penny Dreadfuls to the Paranormal, Museums to Mummies, it’s an adventure you’ll never forget! “Welcome to me parlour, lovelies! Along with me lovely partner Michael Furey we resurrect Victorian history and bring it back from the dead. I consider meself an educated lady of note – albeit, me life started in the darkest recesses of London City. Despite me upbringin’, I assure ye I am not a lady of dubious distinction – even if I do prefer the strange & bizarre! Some folks believe this era was filled with highbrow parties and Afternoon Tea (there is some truth in that); however, the Missus prefers the macabre, often tragic, side that is rarely spoken of – the underbelly of Victorian society, where the so-called freaks, depraved & creatures of the night play! Why Missus Mooneys “Halfpenny Dreadfuls”? 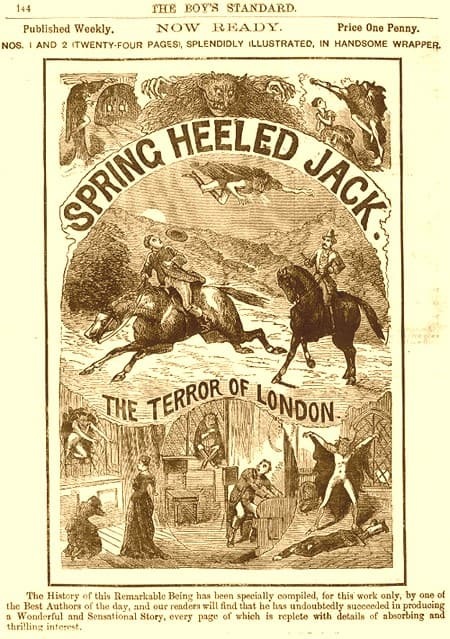 The “Penny Dreadful” is a term that originally developed in mid-Victorian England; stories of adventure, romance, crime…in short, often serialized form, printed and sold cheaply (for one penny). An easy distraction from the dailie toil – affordable for the common folk and read secretly by the wealthy! Sometimes referred to as “Penny Bloods”, due to the often graphic content (ie. Sweeney Todd, Varney The Vampyre…), these publications were the inspiration for “pulp fiction” novels the world over. By the 1890s these tales had proliferated and the stories had become even more lurid and sensational. ** Seika Groves who portrays Missus Mooney holds a degree in Cultural Anthropology & Battlefield Archaeology and is also an expert & historian of the Victorian era. Her expertise is valued by many media outlets and she is sought after as an educator, offering her talents to schools, museums, interpreters and the general public.